Let’s deal with that name first. 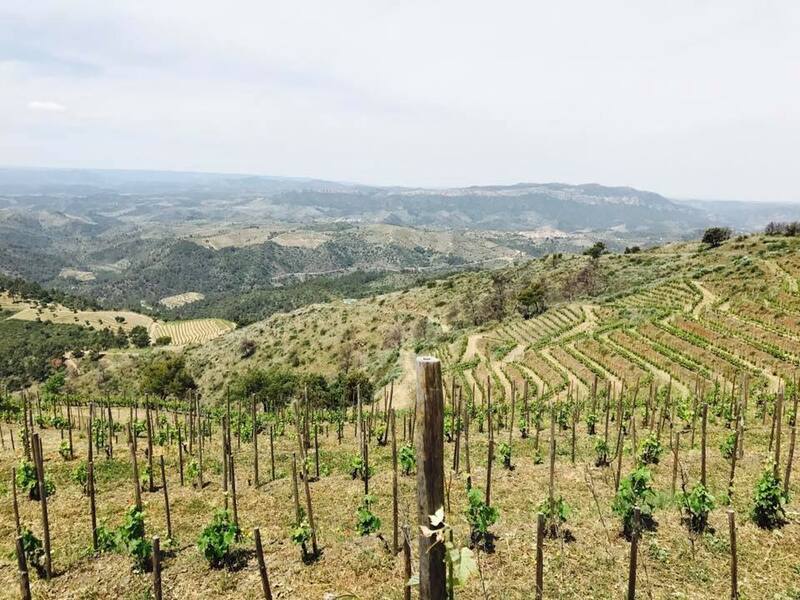 You already know I’ve been a huge fan of Pulchella Winery since they were known as Dragonfly, heck winemaker Steve Lemley and I just co-hosted a 200-person wine dinner together (with the help of MANY others). And now? 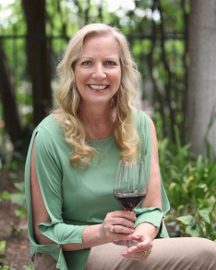 The new Paso Zinfandel he and co-winemaker Nate Hasper have created is my favorite of the new releases this year. 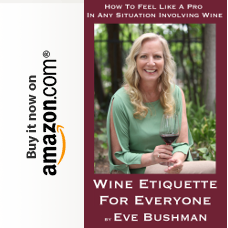 But yet, there’s this one thing they do that I will fight tooth and nail against (never actually used that phrase, and even now I do it tongue in cheek, lol) and that’s picking these crazy names for their wines. Mercenary. 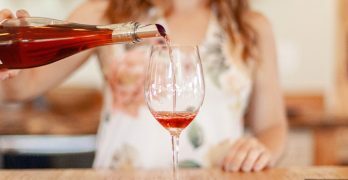 The definition for that word doesn’t make me thing of Zinfandel but apparently it does for these two…for lack of a better description, these two “renegade” winemakers. From conception, she had a mind of her own and a predetermined destiny without the need for intervention. After many heated arguments, she just refused to listen and we stepped down. Okay, got that silliness off my chest. Now, let’s just give it a taste shall we? Color: Blackberry…and the idea of that single word kind of took over from there. Aroma: Blackberry again, but first an amazing amount of blueberry jam followed by plums, black pepper and the tiniest whiff of sage. Flavor: Blackberry a final time, and this time surrounded by other bold dark fruit and pepper, with neither fruit nor pepper overwhelming the other, it was a great balancing act that left no heat on the palate. A little nuance of blackberry liqueur, rich but not sweet, lingered for a nice long finish. 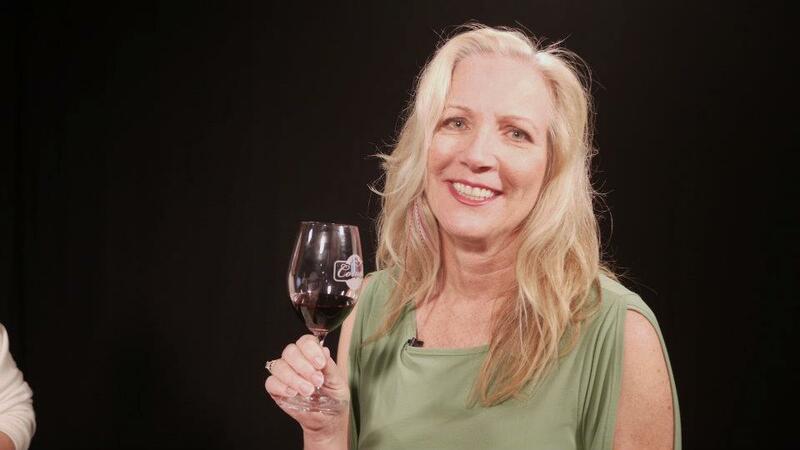 Of special note: Wine Enthusiast’s Contributing Editor Matt Kettmann rated the 2014 Mercenary a 94 – and it was the highest score for a Zinfandel from the entire Central Coast AVA. What Did Everyone Think of Wine on the Roof? 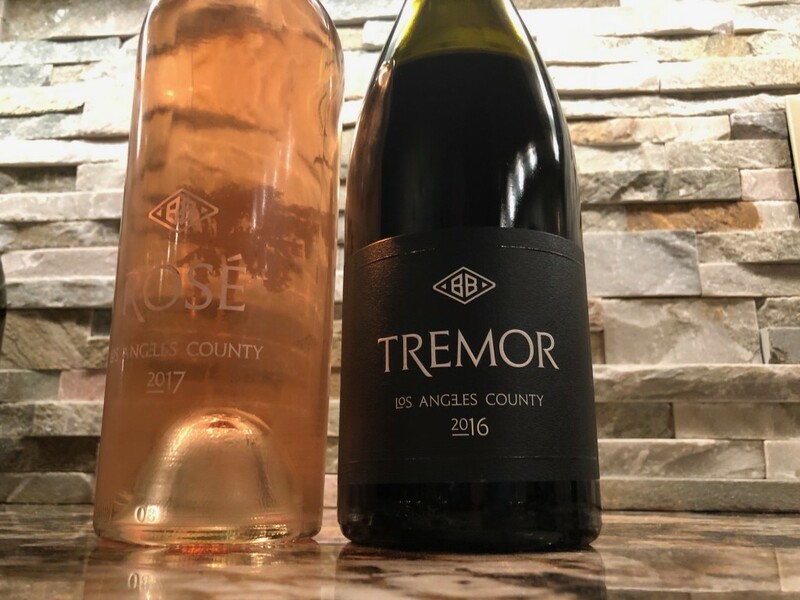 A small select group of winemakers and vintners from the SCV Custom Crush Services, owned by winemakers Steve Lemley and Nate Hasper, were chosen for the collaboration. Steve Lemley would also serve his first time as a co-host for our non-profit event. The winemakers, five of them, were seated among the guests ready to answer questions during dinner. Rows of tables, almost all joined, were topped with floral centerpieces, waxed topped wine bottles that held the table numbers and bamboo flatware wrapped in cloth napkins. 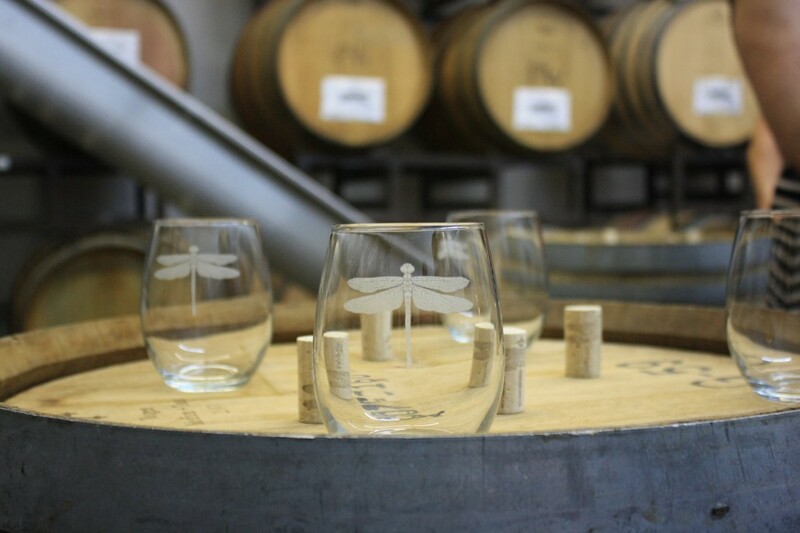 Many selfies were taken with the bottles and keepsake wine glasses! Bare bulbs were strewn across our roof that were only outshone by a lingering sunset and then, one guest noted, a crescent moon and Venus. There were about a dozen volunteers from Pinups for American Heroes decked out in 1950’s styles and adorned with cigarette trays filled with bread from The Speakeasy Bakery. Another volunteer followed them…seemingly to be holding a bourbon bottle that instead was filled with herb infused dipping oils. 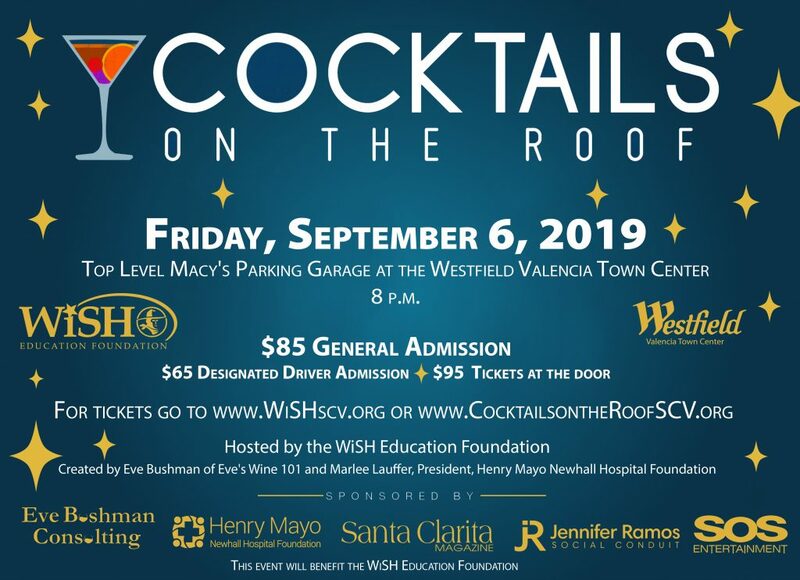 A few of our chefs were on the roof for their first Santa Clarita Valley event and are noted below as DEBUTING AT EVENT. DEBUTING AT EVENT: The Newhall Press Room offered up a half dozen of their popular “Valley Boards” that are about 3 feet long. As lines began to form winemakers worked the crowd sharing their own wines. The menu was not public. Each bamboo plate was delivered with its own menu card describing the dish with the name of the restaurant, chef, wine pairing, winemakers and wineries. Guests were prompted to take home the cards to make sure they would frequent their favorites. There were three desserts! As guests started to pack up after the first dessert luckily Assemblyman Scott Wilk was on hand and announced that there were more desserts coming out. Music was provided all evening long by local “everyone loves” Lance Allyn. “Those two opening salads from Hundred Miles and Old Town Junction were the best courses of the night – along with the bread and the short rib! 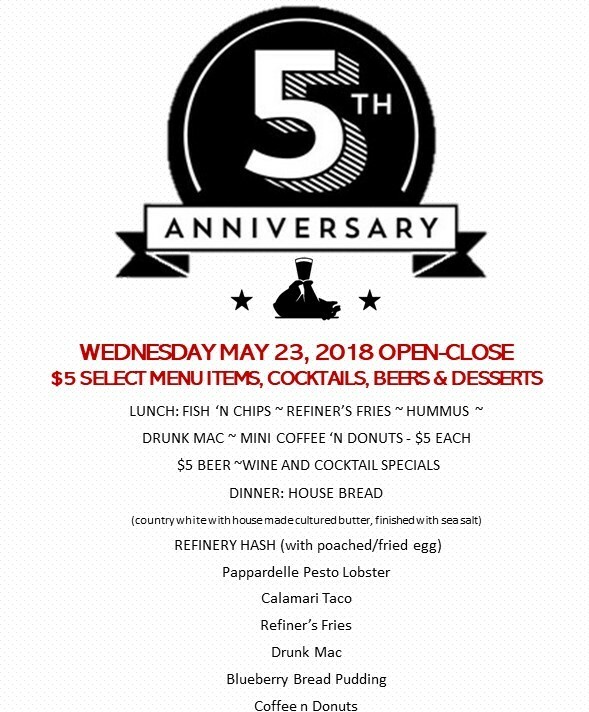 It was a fantastic night.” Steve E.
“Who knew that the best restaurant in Santa Clarita Valley is on the top of Macy’s parking garage?” Jeff J. “HUGE shout out and THANK YOU to Brittany M Sanders and the ladies of PinUps For American Heroes. They truly deserve “Claritan” Medals of Honor for sticking around after our bread service was finished to help out serving. Above and beyond the call of duty.” Scott E.
“Thank you for having us! All of us from Pinups for American Heroes had a great time!” Brittany S.
“Highlights from me for the evening were, without a doubt, the bread… but the opening salad from Chef Otto at Old Town Junction was out of this world! Perfectly composed, perfect blend of flavors. Every bite was incredible! Also the two desserts from Wolf Creek and Salt Creek were amazing!” Todd W.
“I had the best evening under the stars enjoying amazing wine, delicious food and friends! What a unique collaboration that will become THE annual event for SCV. 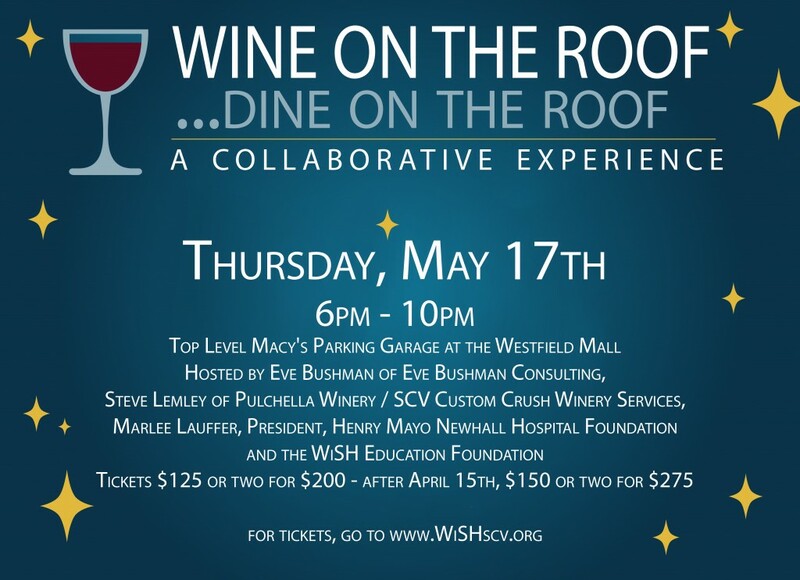 I am really looking forward to Cocktails on the Roof in September again!” Lynne S.
“Congrats to fellow foodie Eve Hammond Bushman for pulling off a wonderful charity dinner/wine event atop the mall parking garage last night. Fabulous wines overseen and poured by Steve Lemley from Pulchella Winery and Tasting Room. Bread overseen by Scott Ervin and Todd R. Wilson of The Speakeasy Bakery.” Larry M.
“Great event Eve! 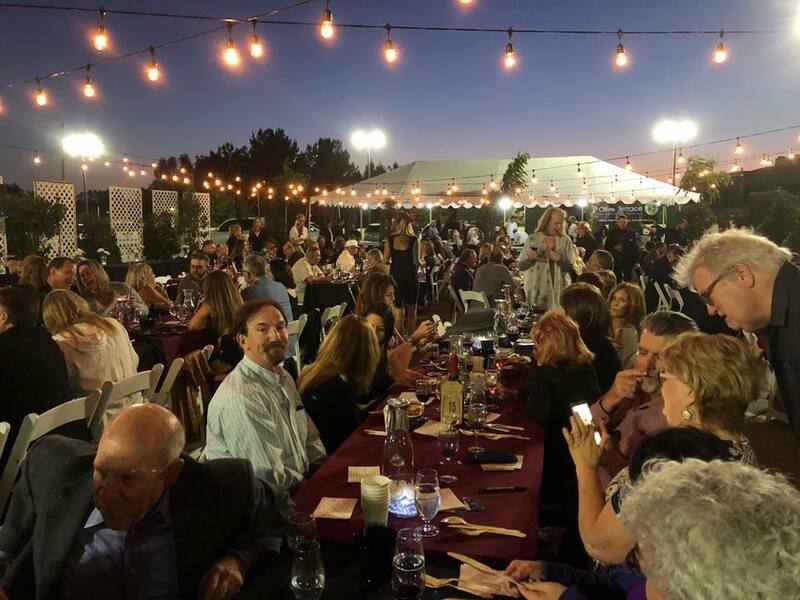 Beautiful setting, perfect weather and very well executed!” Steve C.
“Congratulations to everyone involved, it was a very fun evening, food was outstanding!” Debra H.
“That was a RAGING SUCCESS! 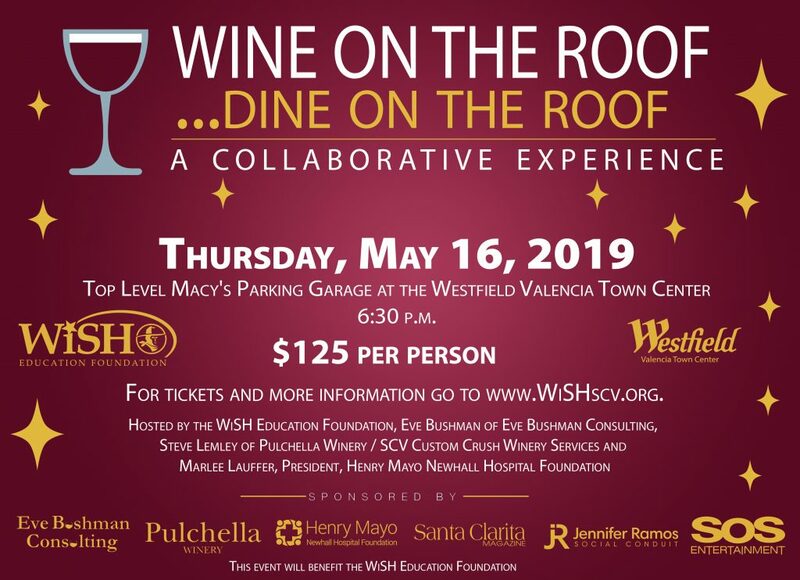 Thanks for putting on such a WONDERFUL event!” Bill M.
“Wine on the Roof…Thank you Eve Hammond Bushman and Amy Sieger Daniels for an amazing event, and evening!” Sandi P.
“I am so proud of the Wine on the Roof team. They have put on an amazing event tonight. Please remember that all that fun is to raise money for our public school kids. And give.” Amy D.
For me: It was seeing the collaboration really at work. Chefs helping other chefs in the prep tent, servers from different restaurants bringing individual menu cards and dishes to guests from other restaurants, iCue students working among tenured seasoned professionals, loyal long-time volunteers from Cocktails on the Roof working with all of the lovely ladies from Pinups for American Heroes. We envisioned how that would work; they did the work and made it come true. Before the restaurants we were lucky to add in Jennifer Chadwick, of Salt Creek Grille, to be our Lead Coordinator in the prep tent. She worked with all of the various chefs and staffs to create a seamless presentation from: The Speakeasy Bakery, Bakers Scott Ervin and Todd Wilson, assisted by volunteers and DEBUTING AT EVENT: Pinups For American Heroes; DEBUTING AT EVENT: Newhall Press Room, Chef Trevor; DEBUTING AT EVENT: The Old Town Junction, Chef Daniel Otto; DEBUTING AT EVENT: Hundred Miles, Chef Louis Pechan; Olive Terrace Bar and Grill, Chef Lucio Teraza and Chef Alfonso Canuto; Bonefish Grill, Culinary Team; Sweet Beams Ice Cream Truck, Karin and Chris Beam; Nothing Bundt Cakes, Jennifer and Zachary Zeidler; Wolf Creek Restaurant, Pastry Chef Meghan Launier, 8. Salt Creek Grille, Pastry Chef Kristina Waggoner and Honu Coffee, Brew master James. 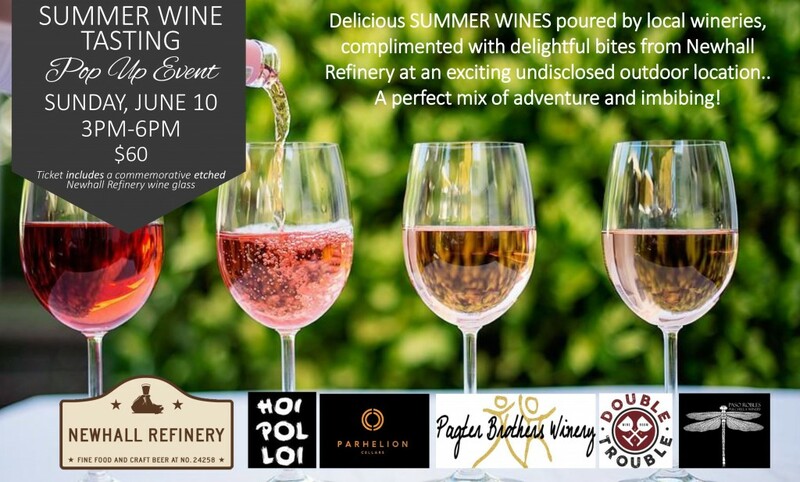 DEBUTING AT EVENT: Byron Blatty Wines, winemakers Steve Lemley and Nate Hasper; Pulchella Winery, winemakers Steve Lemley and Nate Hasper; Hoi Polloi Winery, winemakers Ted Behlendorf, Doug Minnick, Dan Erland Andersen; Pagter Brothers, Scott Page-Pagter winemaker; DEBUTING AT EVENT: Parhelion Cellars, winemaker Adam Hasper. From WiSH Board members Richard Cohn and Lynne Secrest, co-chairs Eve Bushman, Steve Lemley, Amy Daniels and Marlee Lauffer and additional committee members Alex Hafizi, Dawn Begley, Ed Masterson, Mitch Russell, Lisa Holt and Judy Penman we were also assisted by Nicole Stinson who was asked very late in the game to manage all volunteers that included: Kat Kombrinck, Carolyn Lodes, Lee Lodes, Vicki White, Nicole Feast-Williams, Jen Duke, Leslie Navarro, Andrea Pivaral, Grace Gopeng, Johann Nepomuceno, Renee Schluter, Grace Marquez, Mikki Anthony Toya, Steve Portraro, Jennifer Goins, Melissa Velasquez, Mia Slotve, Damien White, Ciria Cordero, Jason Gibbs, Chelsea Martinez, Brittany Sanders, Allison Mazhari, April Thompson, Haylee Boersch, Ashley Borow, Donna Carrion, Mary Bird, Karina Garcia, Elnaz Mazhari, Scott Ervin, Todd Wilson, Wendy Wolfe, Carol Rock, Sean Griffin, Blaze Patricio, David Graham, David Perloff, Kevin Hobart, Michell Peranich, Timbrel Pechan, Sam Dadnino, Kelsey Schneider, Bailey Lu, Michael Liscoumb, Haley Zwack, Sheri Staulbaum and Beth Wageman. Sponsors included the Magazine of Santa Clarita, Elite Magazine, VIA Promotionals, Lundgren Management, California Credit Union, Brightview Tree Company, Peterson Printing, 24/7 Events, Andy Gump, SOS Entertainment, KHTS Radio, SCVTV, The Signal and Fagen, Friedman and Fulfrost.